Basically, you can wear whatever you like for the driving test. However, it is generally best to look smart, clean and tidy however. Everyone, even driving examiners have first impressions and the way you look tends to have an impact on the outcome of situations as research has proven. Go for something smart but casual. Jeans, trousers or a skirt is fine providing it doesn’t restrict your movement. Same goes for the tops. Remember that the driving test will involve plenty of moving and twisting of the body, especially when you need to look around for manoeuvres. So it’s better to wear clothes that do not restrict movement as this may impair your abilities and also make you lose concentration. In the summer months it can get rather hot and during the stress of a driving test you’re likely to get even hotter. Even in winter you may get hot on the driving test so wear layers. A top made of reasonably thin material with high cotton content and another top that is easily removed if you are starting to get hot. The last thing you want is to start dripping with sweat on your test due to nerves. If during your driving test you are finding the heat unbearable, ask the examiner if you can pull over in a safe place to either turn the heating down or off, or to remove a layer of clothing. They will be happy to oblige and of course don’t forget you can open your window if this helps. The examiner may turn the heating off for you whilst driving. The most important aspect of what to wear for the driving test is your shoes. Certainly avoid sandals or flip flops as these are dangerous due to the fact they can get lodged under a pedal. 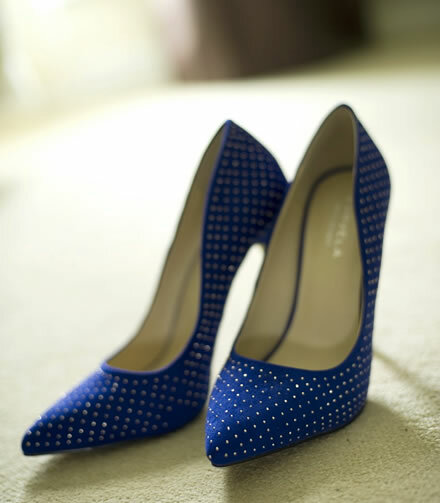 Also avoid shoes with any long heels as this may prove difficult to operate the pedals. Also boots may prove restricting whilst operating pedals. Ideal driving test shoes, or ideal shoes simply for driving in for that matter are flats that are none restrictive and remain secure on the feet. Find also shoes that are not too wide to eliminate the possibility of accidentally clipping a pedal whilst pressing another one and also shoes that have a slim sole. Shoes with a slim sole will provide a better feeling between your feet and the pedal allowing you to gauge the correct pressures better. For the ladies, ballet flats are an ideal driving test shoe.